Last week, I discovered a writing prompt on a blog that asked us to share our favorite recipes incorporating pineapple. Now I really cannot cook that well, so other than a pineapple and banana smoothie, I have no idea. However, something else came to mind. One of my main hobbies is soap making. I started this hobby in 2016 after having tried out many other creative hobbies unsuccessfully before, including card making, jewelry making and polymer clay. It’s so frustrating to be blind and extremely clumsy sometimes. As a result of this, I often need a lot of help on any of my creative endeavors except for writing. That includes soap making. Earlier last week, I’d been thinking of a way to pick up the soaping craft again. I’d not been doing it much for over a year due to not having the support system to help me. Before that, I’d made soap at my old day activities in the institution, but my new place couldn’t help me with this. I started looking for a soaping buddy. No luck. Then I thought maybe I could try soaping independenty after all. After all, it’s not more dangeorus than cooking and, though I just said I cannot cook, I in fact did cook independetnly many yeas ago. Making a simple melt and pour soap requires less preparation than cooking a meal. So last week when my husband was at work, I went to business. I deliberately chose to soap when my husband was at work rather than when he was home, so that I couldn’t take out my frustrations on him. As it turned out, the soaping went pretty well. 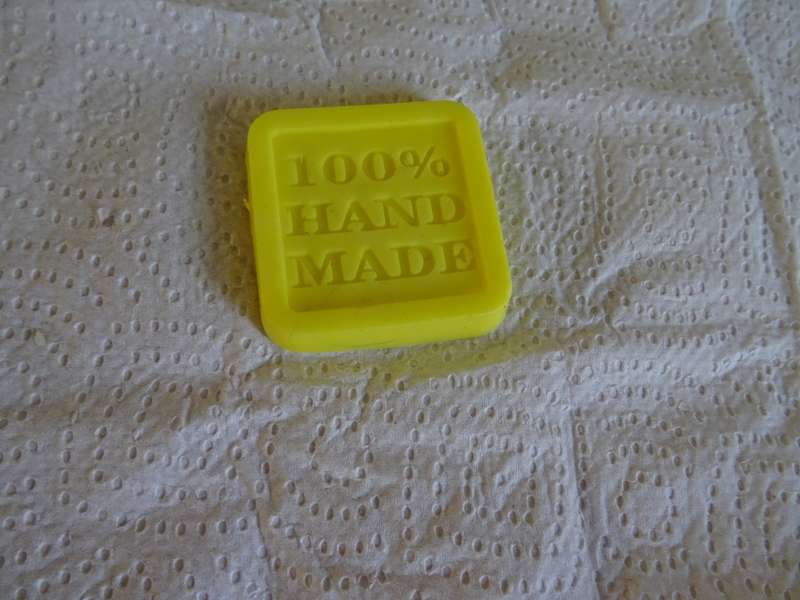 I decided to make a simple soap with just one colorant and one fragrance oil and no additional ingredients. That fragrance oil was pineapple. So here you have our favorite recipe incorporating pineapple. First, I cut the soap base into small cubes. Guessing how much soap I’d need, didn’t turn out to be as difficult as I’d expected. Then I melted the soap base in the microwave. This is not ideal, as the heat may not be evenly distributed through the soap, but I didn’t want to add complexity by melting my soap base in a double boiler. It worked fine for me. Once the soap was melted (which takes only about 30 seconds in the microwave), I added in a few drops of colorant and fragrance oil. The colorant and fragrance oil bottles I used have a dropper, but I just guessed how much I’d need, as you can never be sure the dropper works properly. Then I stirred quickly and poured the soap into the mold. You only have a few minutes from taking the soap out of the microwave to pouring it into the mold. If you see or suspect bubbles in your soap, you can spray alcohol over them, but I didn’t do that this time, as I cannot actually see where the soap bubbles are. I then left my soap to harden for about 45 minutes. It turned out pretty good.